Srinagar: Vehicles tagged with electromagnetic chips, bike and bullet-proof SUV police convoys and scores of bullet-proof bunkers have been deployed as part of the "biggest-ever" security blanket thrown to secure pilgrims undertaking the Amarnath Yatra that begins in Jammu and Kashmir from Thursday. Over two lakh pilgrims have registered for the annual pilgrimage to the 3,880 metre high cave shrine of Amarnath in south Kashmir Himalayas till now. A posse of over 40,000 armed CRPF and state police personnel have virtually dotted the yatra routes from Jammu — via Pahalgam and Baltal — with their overwhelming presence in armoured vehicles. Forces have deployed a huge assortment of CCTV cameras and drones, assisted by mounted Army columns, to ensure that the yatra route is not breached by terrorists and in case of a possible attack reinforcements reach as fast as possible. "Each vehicle that has pilgrims and is part of the yatra is being tagged using RFID (radio frequency identification) tags and they will be monitored at a control room made operational here. "Security forces have been given specific responsibility to sanitise routes and secure a select number of pilgrim vehicles by sandwiching them between bullet proof troop carriers," a senior security official told PTI here. 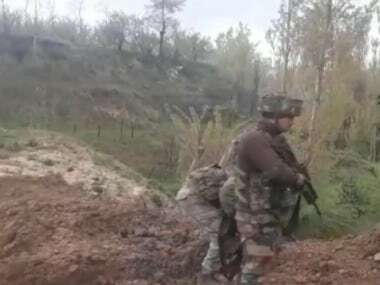 The CRPF road clearing parties will keep sweeping yatra roads against possible improvised explosive device (IEDs) threats to yatra convoys from early morning till late evening, he said. The top official added that these arrangements are the "biggest-ever deployment of the security paraphernalia to ensure protection to the annual yatra that comes in the backdrop of a long and turbulent time of violence in the Kashmir Valley." 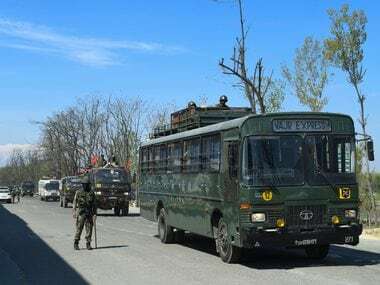 The RFID tagging of vehicles concept has been introduced for the first time after taking a lesson from last year's militant attack on a civil vehicle in Anantnag district that left eight pilgrims dead and several injured. "Thousands of such tags have been purchased and are being stuck on vehicles. They cost about Rs 72 a piece and they will help give a clear picture to security forces in case a yatra vehicle is lost in the way or takes a wrong route. QRTs will immediately be scarmbled to track such a four-wheeler," a CRPF officer said. P P Pauly, Commandant of the 73rd battalion of the force, said a control room has been created at his camp in Bemina to track all the RFID-bearing vehicles even as a 100 personnel strong squad has been kept on standby to respond to any untoward incident. A special desk has been set up at the Srinagar International Airport by the CRPF to register pilgrims and to tag their vehicles from there, in an extension to the exercise that is taking place at the land borders that leads to Jammu and Kashmir. S K Todkar, a devotee from Maharashtra who arrived in the state on Tuesday, said he and his 10 other family members are "undettered by the fact that a pilgrims' bus was attacked last year." "We are here for the yatra for the third time and we are sure we will finish it successfully. 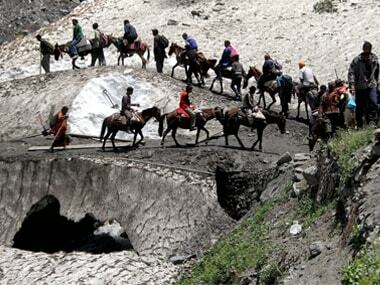 Risk to life by possible terror threats is just one part of the entire Amarnath journey," Todkar's father Rambhau said. The first batch of pilgrims wad flagged of from the Bhagwati Nagar camp in Jammu at 4.45 am on Wednesday and they will start their journey to the cave shrine from Baltal and Pahalgam routes on Thursday. Officials said a total of 1,904 pilgrims including 330 women and 30 children were part of this batch. The Central Reserve Police Force also launched bike-borne quick reaction teams (QRTs) on Tuesday that will not only respond to any attack or sabotage incident on the yatra route but also double up as an ambulance to rescue unwell pilgrims, security personnel or locals, the official said. The commandos on these bikes are equipped with camera-mounted helmets that will help analyse and video record a trouble situation. A "record number" of mobile bullet-proof bunkers and semi-permanent observation posts have been set up all along the yatra routes that are being manned largely by the CRPF followed by other central security forces and the JK police. 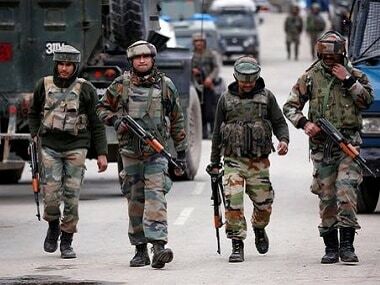 The official said "all" security forces camps in the state have been asked to stay on alert as militants may try to target them after witnessing heavy deployment of uniformed personnel along the yatra route. "There are inputs that terrorists may strike at these camps as they know that the security grid for the Amarnath Yatra has been made very strong and vigil is at an all-time high. Leaves of personnel have been slightly rationed to ensure that camps and other movements of forces are not rendered vulnerable during the two-months of the yatra time," the official said. Special contingents of the National Disaster Response Force (NDRF) and Jammu and Kashmir state rescue and relief squads have been placed at vital locations all along the yatra route to respond to any natural or man-made calamity. CRPF Director General (DG) R R Bhatnagar is also expected to review the security situation during the day after he reaches here from Delhi. They yatra will conclude on 26 August on the day of Rakshabandhan.